We have already given you details about what Sonakshi Sinha wore. 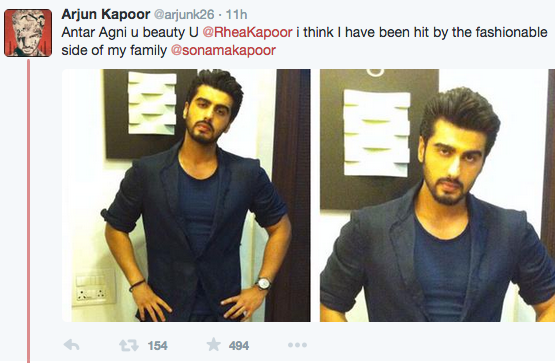 Arjun Kapoor wore suit from Antar Agni. We think he really looked good. Specially, the way Arjun and Sonam were styled together- the colors, fall of the pants, easy breezy look. It was nice. 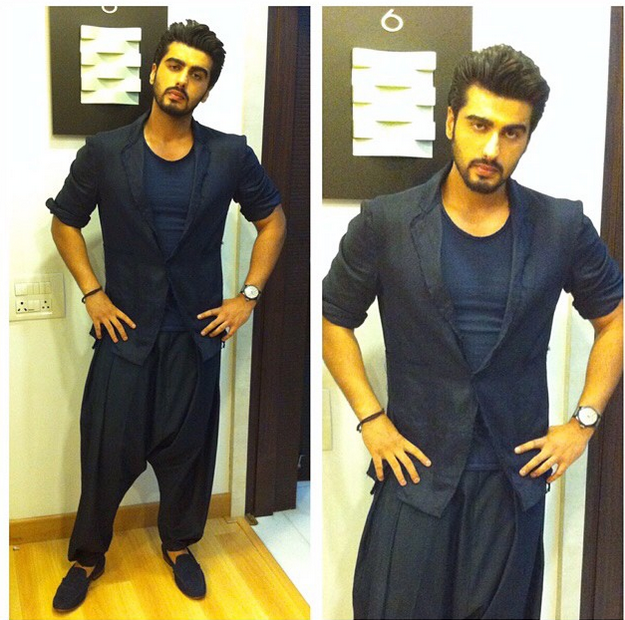 We hope Arjun continues to be this fashionable. In his own words, he has "been hit by the fashionable side of my family- Sonam Kapoor."